Please join us for a sitting on Sunday, April, 7th, at 9am, Eastern. You may join us in person, or online via Zoom. No preparation needed. Come as you are. NOTE: Rev. 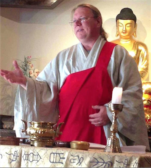 Chasayk will deliver the Dharma talk. Please join us for a sitting on Sunday, September 9th, at 9am, Eastern. You may join us in person, or online via Zoom. No preparation needed. Come as you are. Please note our new sitting time: 9am, Eastern. Please join us for a sitting on Sunday, August 26th, at 9am, Eastern. You may join us in person, or online via Zoom. No preparation needed. Come as you are. Please note our new sitting time: 9am, Eastern. Please join us for a sitting on Sunday, August 12th, at 9am, Eastern. You may join us in person, or online via Zoom. No preparation needed. Come as you are. Please note our new sitting time: 9am, Eastern. Please join us for a sitting on Sunday, July 29th, at 9am, Eastern. You may join us in person, or online via Zoom. No preparation needed. Come as you are. Please note our new sitting time: 9am, Eastern.